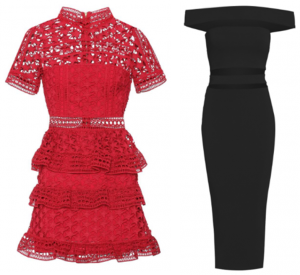 Dress Hire London – Autumn Edition! London, Leeds, Manchester, Newcastle and Liverpool are the most popular destinations for UK dress hire this month at Girl Meets Dress so we’ve decided to take you through the best rentals for each. This blog will feature our most popular city London. Maggie’s is a 1980s themed boutique members late-night bar in the heart of Chelsea, named after Prime-Minister-turned-icon Maggie Thatcher who was in power throughout this ten year period. Club-goers can hear her famous speeches playing in the loos, while Thatcher memorabilia vies for space on the walls along with other iconic 80s images and paraphernalia. The resident Maggie’s DJ plays a fantastic range of classic 80s music from this vibrant decade as bartenders dressed in neon coloured t-shirts, sweat bands and 80s gear, serve up a range of drinks from Piña Coladas and Daiquiris to the unforgettable Babycham. The waitresses, meanwhile, are dressed in union jack and Rubik’s cube dresses and serve guests sat at giant Rubik’s cube and old school cassette tape tables. For a truly great party dress to hire in London try the Avery Dress by Dresses by Lara or our Steel Cocktail Dress by Virgos Lounge – remember, you can rent 3 at a time and get a refund on the ones you don’t wear! Don’t worry about any drink spillage on your night out either – we take care of all the dry cleaning! Simple yet stand-out, radical yet refined, Restaurant Ours brings the outside in to create an unexpected space hidden in the heart of Knightsbridge. Unpretentious, effortless and elegant with a nod to retro chic. A crafted modern European menu accompanied by seasonal cocktails. An iconic space in an iconic place. Service was an impeccable combination of professionalism and welcoming warmth. As expected, the wine list is extensive and expensive, though house choices are excellent value. Hire cocktail dresses in London and dazzle in our Star Lace Dress by Self Portrait or stun in a midi dress to hire like our Priya Midi Dress by Gorgeous Couture. We provide a FREE RETURN label for you to return the dress when you’ve worn it! Completely hassle free. Open seven days a week and comprised of a main restaurant, extensive terrace and garden*, orangery and café, The Ivy Chelsea Garden offers tranquil al fresco dining all year and the perfect setting for any occasion. 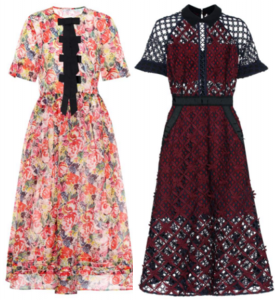 We have so many long dresses for hire in London so you’re spoilt for choice – from our Seneca Floral Silk Dress by Ganni to hire in London to our Floral Grid Midi Dress by Self Portrait. Posted November 1st, 2017 in GMD Daily. Tagged: ball dress, Ball dresses, Ball gowns, beulah, designer dress hire, Designer dresses, Diva Sophia, Dress Hire, dress hire london, Dresses by Lara, Evening Dresses, ganni, Ganni dress, Ganni dresses, Girl Meets Dress, GMD, hire a dress, hire Amanda Wakeley dresses, hire beulah, hire cocktail dresses, hire designer dresses, Hire diva sophia, Hire dresses, hire dresses by lara, hire dresses in London, Hire Ganni, Hire Ganni dress, hire ganni dresses, hire glamorous, hire lipsy dresses, hire self portrait, Hire Self Portrait dress, hire self portrait dresses, hire victoria beckham dresses, Hire Virgos Lounge, Hire Virgos Lounge Dress, Hire Virgos Lounge Dresses, jumpsuit to hire, lipsy, lipsy dresses, long dresses, party dress, party dresses, party dresses uk, pink sand dress, rent a dress, rent beulah, Rent designer dresses, rent diva sophia, rent dresses, Rent Dresses by Lara, rent dresses in London, Rent Ganni, Rent Ganni dress, Rent Ganni dresses, rent midi dress, rent self portrait, Rent Self Portrait dress, rent self portrait dresses, rent victoria beckham dresses, Rent Virgos Lounge, Rent Virgos Lounge Dress, Rent Virgos Lounge Dresses, Self Portrait, Self Portrait Dress, self portrait dresses, short dresses, Virgos Lounge, Virgos Lounge dress, Virgos Lounge dresses, what to wear on a date?, what to wear to a bar?.